We have made some wonderful friends and we follow your awesome blogs. 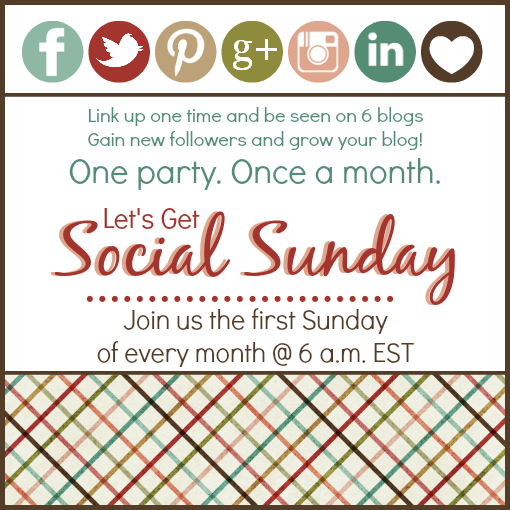 But the times, they are a'changin'...and it's time for us to say goodbye to Let's Get Social Sunday. This will be our final party. Take this last chance to make some new friends! Just link up your blog, then take a few minutes and interact and network with others by following their social sites that you find on their blogs! If you would please follow your hosts, we would love it. And be sure to let us know, so we can follow you right back! 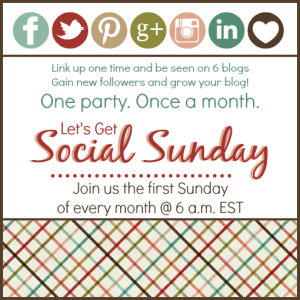 Now link up your blogs and let's get this party started! Hi Joy!! Thanks so much to you and the ladies for hosting the party - look forward to it every month! Have a happy Sunday and hugs! Thanks for hosting the party. My link photo didn't show up, link 72, so you might want to delete it and then I can link it up again.